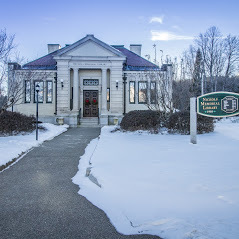 The Nichols Library provides discounted admission passes to two area museums. Science Center of NH on Squam Lake. Enjoy inter-active exhibits of native animals, including black bears, mountain lions, river otters, and more on the Gephart Exhibit Trail at SCNH. The exhibits are connected by open meadows, forest trails, and marsh boardwalks. It is the only AZA-accredited facility in northern New England. The Trails are open daily from 9:30 am to 5:00 pm (last admission at 3:30 p.m), in season (May 1-November 1). Our pass to SCNH admits 2 persons at $5/person and 4 additional persons at $10/person. Children 2 are admitted free of charge. The Center also offers natural science education programs, an informal public garden, and lake cruises. SCNH is located off Rte 113 in Holderness, NH. Castle in the Clouds (Lucknow Estate). Visit the Lucknow estate, built in 1914 by millionaire shoe manufacturer Thomas Gustave Plant (1859-1941). It is a classic example of the Craftsman Style in American Architecture, which emphasized handwork over mass production and offered a simpler alternative to the Victorian’s “over-decorated” look. Our pass allows you enjoy the views, which are spectacular, and to tour the mansion, You can see the house’s many innovations, rare for that time, among them a circular shower, interlocking kitchen tiles, and a central vacuum system. Castle in the Clouds, now owned operated by the Castle Preservation Society, also features musical events and art exhibits (you can browse a schedule on their website). Our pass provides free admission for one adult and one child age 17 or under, and half price admission for a second adult and child. Children age 4 and under are admitted for free. The Castle is open daily from May 26 through October 21, and weekends year round. It is located at 455 Old Mountain Road (RT 171) in Moultonborough, NH.